This year I am going to try really hard to care for my couple flower pots of plants as though they were my own child, giving them everything they need to survive. I'll let you know how all that goes. 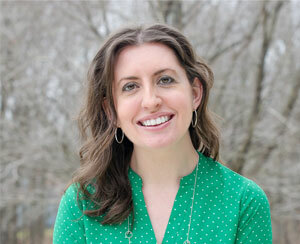 But today's post isn't about gardening or what plants need to survive. 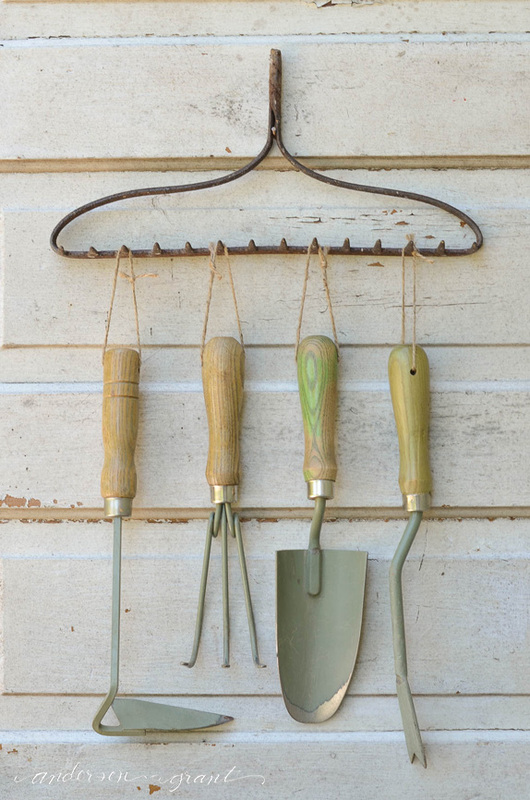 It is about a simple way of organizing the tools that you need in the garden. Last weekend, my mom and I were cleaning out the shed where the lawn mower and miscellaneous outdoor items are stored. Some things were organized, while others went to Goodwill or the landfill. All in all, I was extremely proud of the cleaner space we created. One of the "useless" things I uncovered was a metal rake head that was missing it's handle, which is odd because I remember this rake being in one piece at some point and there were no random wood handles laying around. So not the point, though. Rather than throw this broken tool away, I decided it could be repurposed. 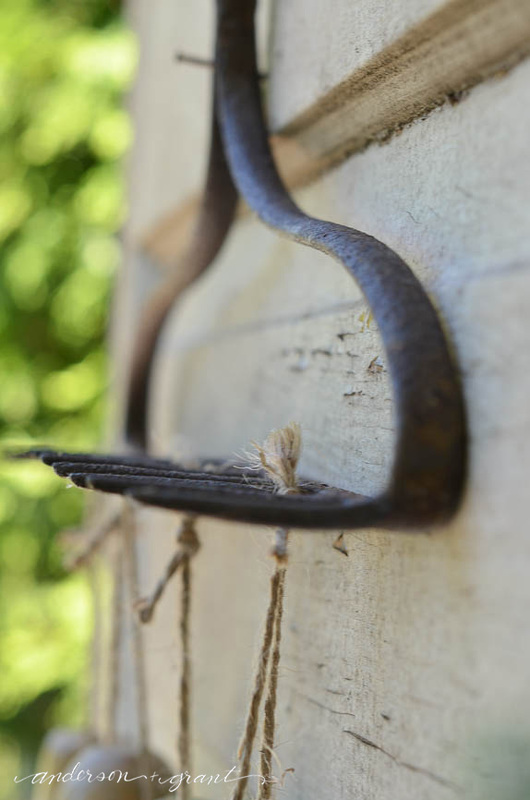 This rake head, when mounted on the wall, provides the perfect place to decoratively (and conveniently) store the garden tools that are in the barn. 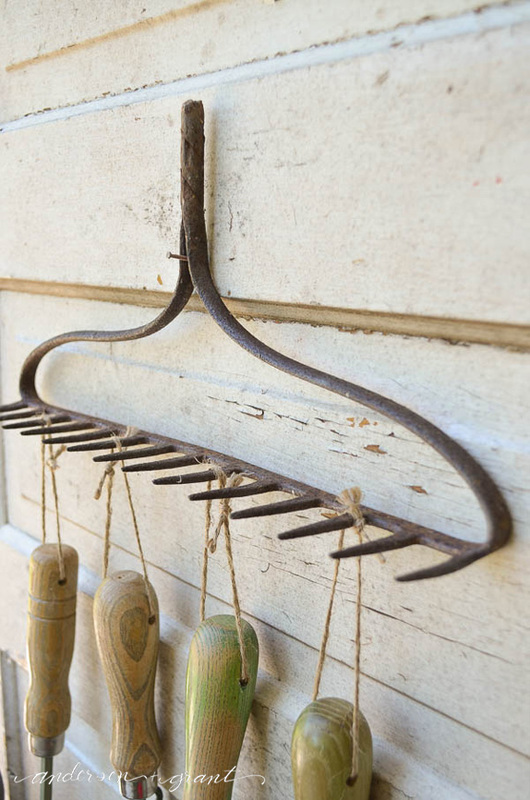 The metal tines act as hooks to hang the tools. 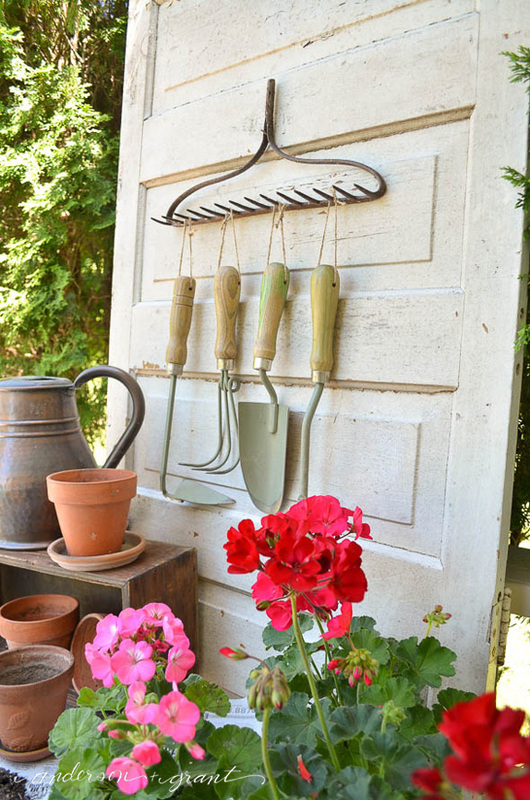 Now I don't have to dig through a pile of tools to find what I'm looking for when I'm struck with the desire to garden. Ahh....don't those tools look so neat lined up in a row? 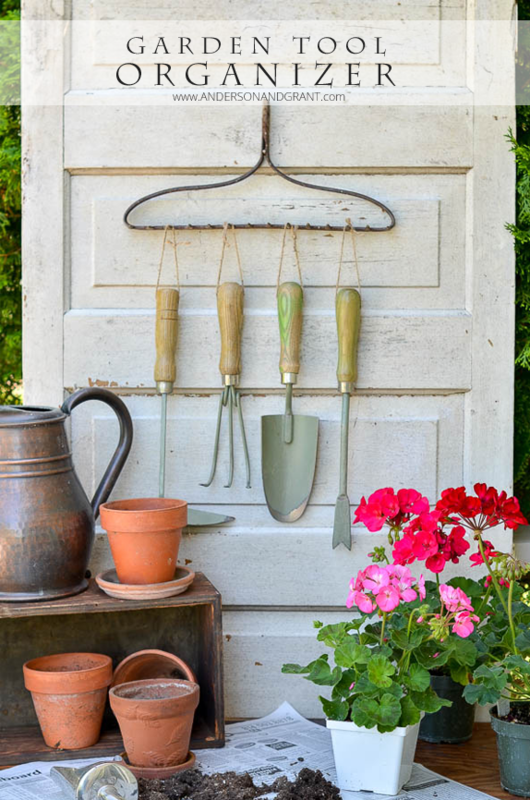 And here is one more shot of my garden tool organizer.....this is probably one of those cases where my photography skills in aperture got the best of me, but I just love the look of this picture for some reason. 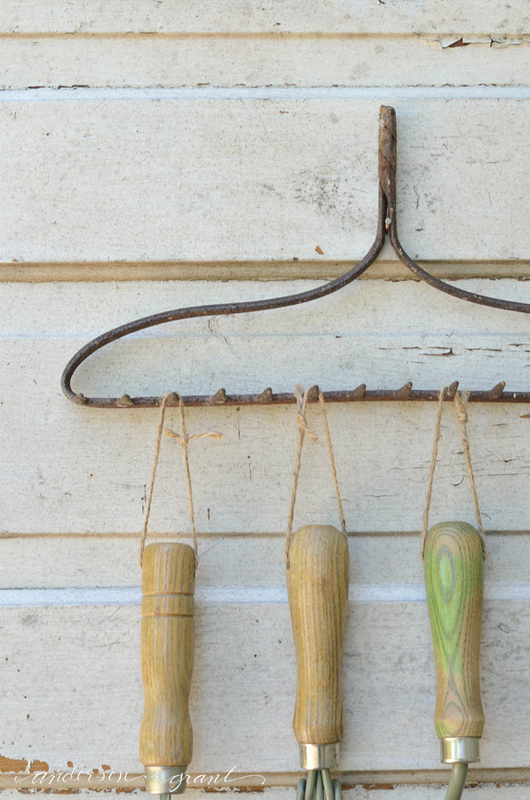 While we are on the subject of gardening today, I thought I would share one of my favorite tools with you. As the Martha Stewart obsessed fan that I am, all of my tools are from her old K-Mart Everyday brand. Martha made a lot of money off of my need to have things with her name on them, might I say. There isn't much that I didn't have (and still do). 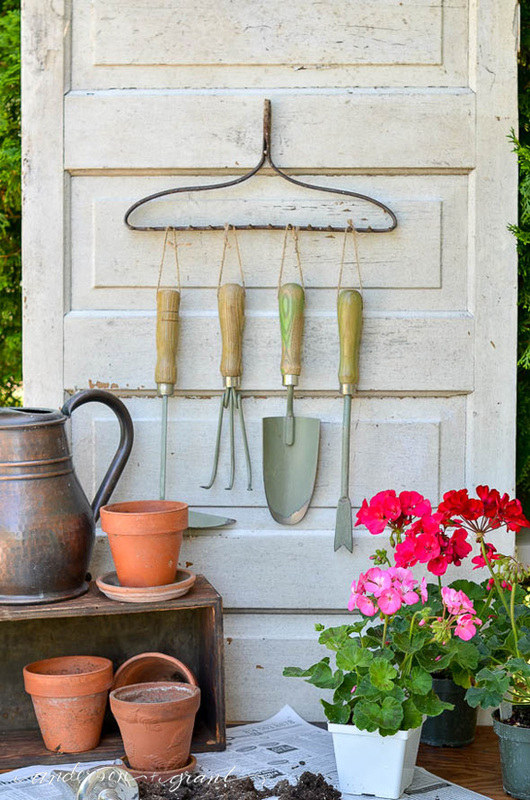 A really useful tool is this metal scoop used for adding soil to pots. 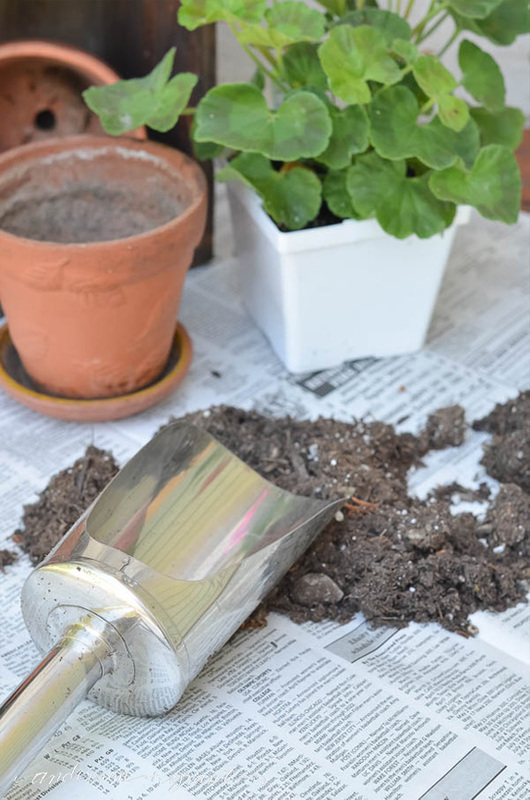 It is so much easier to dig down into a bag of dirt (or if you are super organized, a labeled soil container) with this scoop than to use a shovel. The dirt goes from the bag to the scoop directly into the potting container. You hands stay cleaner using this, too. Even though this scoop is no longer made, numerous other companies have equally useful scoops in both plastic and metal (affiliate link). 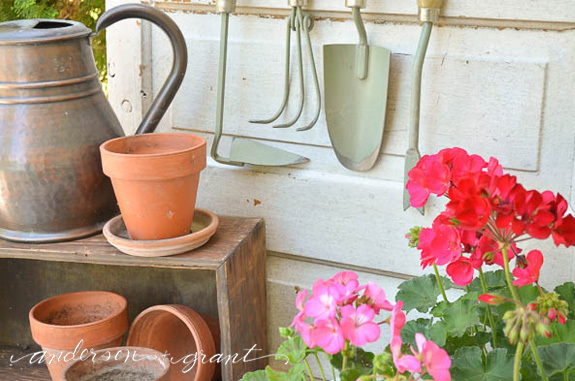 I hope all this talk of gardening has given you a little push to get started planting if you haven't already begun. 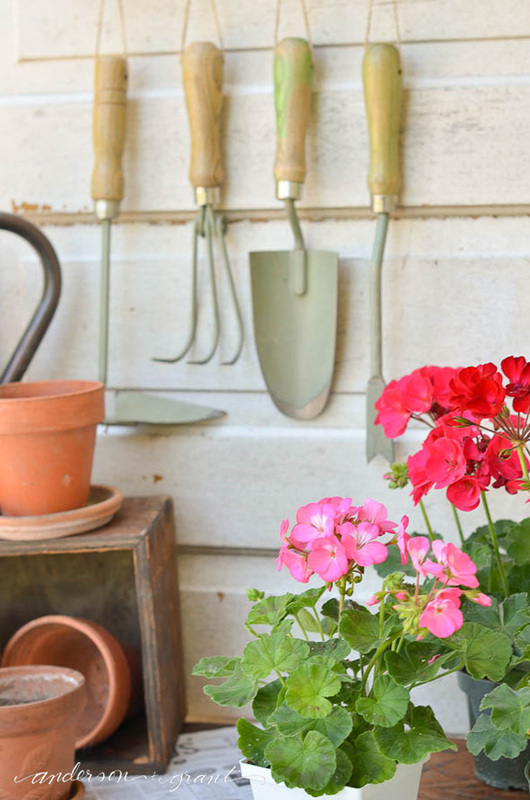 How would you rate your gardening skills?